After the final grind and any touch up welding, the panel and surrounding area is primered with a self etching primer, until I am ready to primer and paint the entire car. 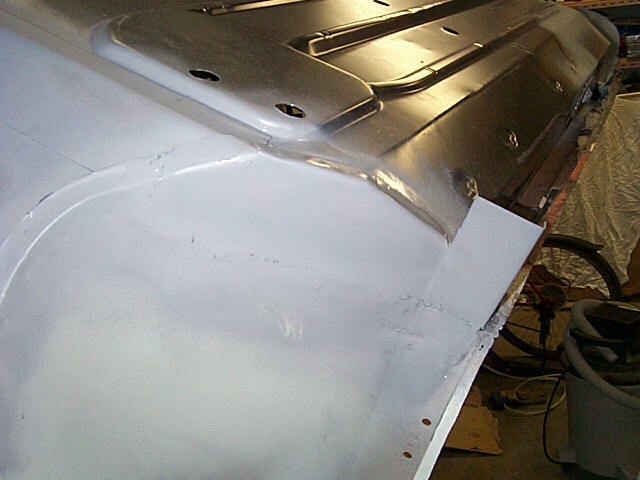 At the start of the project the entire car has been blasted with plastic beads and stripped to the bare metal. 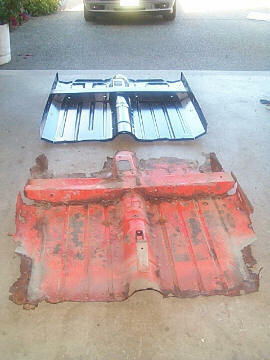 It was then primered with a two part epoxy primer sealer, to keep it from rusting while the body work was completed. That's how all the rusted areas were discovered. Now the other side needs to be done in the same manner. Below you can see the old and new floor compared to each other. There is a smaller amount of metal missing from the body as well.